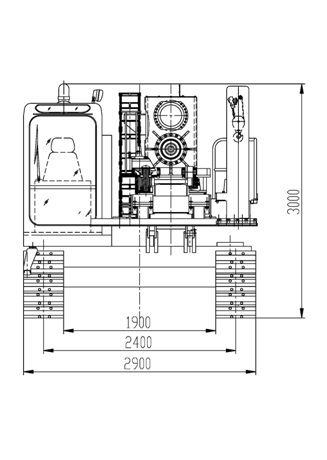 XZ1000A trenchless horizontal direction is one-piece and full-drive horizontal directional drilling machine. The machine adopts the electro-hydraulic proportional control, load sensitive control, a number of advanced control technology and the company's proprietary technology. The main performance parameters and the control technology have reached the international advanced level. The main components such as hydraulic system choose the international brand-name products with the high reliability. 1. Using energy-saving circuit and load sensitive control and electrohydraulic proportional control, several advanced control technology. Those technology saves energy and reduces consumption. The operation is flexible and comfortable. 2. The gear and rack push and pull, which is stable, reliable. Power head spindle floating improve the service life of drill pipe thread. 3. PE pipe elastic equilibrium release technology and effectively prevent the damage of equipment from back drag pipeline reaction and improve the equipment reliability of construction. 4. Line control proportion of walking system ensures the security of the walk. 5. Mud flow shift can realize the stepless speed regulation system, which saves the mud and reduce the pollution. 6. The 45°rotating cabin can be realized, which can improve operation comfort. XZ1000A adopts the steel tracks and venue with the strong adaptability and high reliability. Import walking speed reducer is stable and reliable. Choosing Cummins turbo engine. It is powerful. Meeting the China's second stage emission standards. 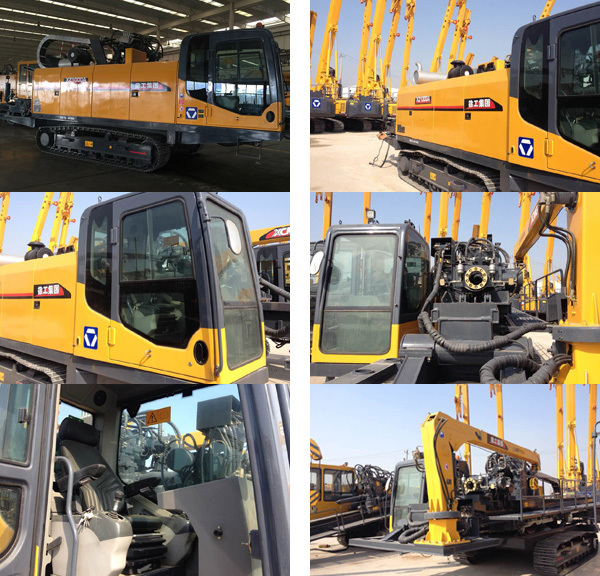 Using the load sensitive control and electro-hydraulic proportional control and several advanced control technology. The imported components are reliable in quality. Equipped with electric starter button, fuse box, power master switch. 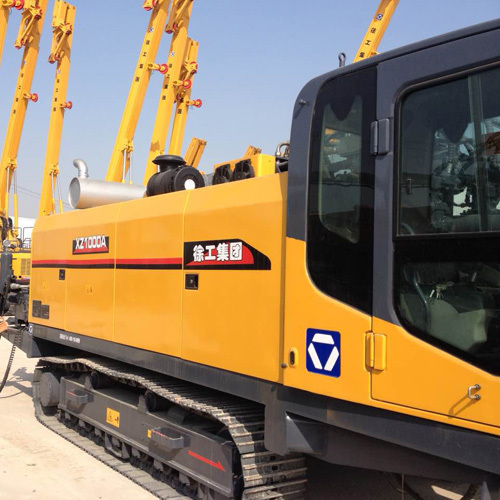 In view of the horizontal directional drilling construction technology, the application of advanced control technology can optimize the display position in the instrument. Using the large instrument is easy to observe. Walking-wire control can realize stepless speed regulation. It is convenient to operate. Engine speed, water temperature, oil pressure, hydraulic oil temperature, oil filter, power head limit alarm parameters can monitor and effectively protect the security of the machine. Equipped with the identity of the welded drill, which can adapt to the 6m drill stand. It is convenient to operate. Drill sliding is driven by oil cylinder and it is convenient to adjust.. The drilling machine can finish the action of push and pull through the gear and rack. Power head floating mandrel device can effectively protect the drill pipe thread. The variable motor can achieve high-speed push-pull. The size of push an pull can be adjusted according to the requirements of the construction of inorganic, which can protect the drill pipe. Equipped with powerful shackle vice, the front and rear vice can relatively slip. It is easy to maintenance and replace the saber tooth. Equipped with large flow slurry pump, which can provide strong, big flow slurry for construction and guarantee the smooth construction, construction. It can be stepless regulating mud pump flow, which can provide better operating experience. 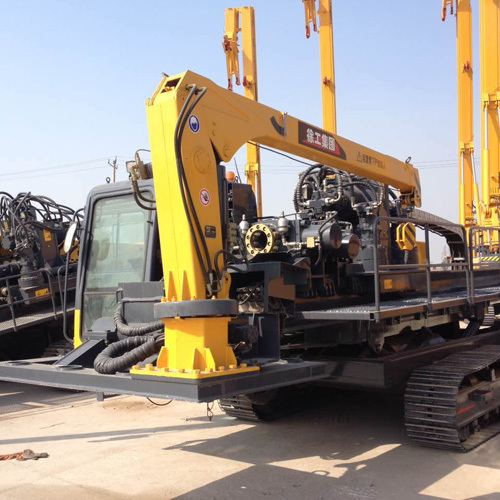 Equipped with air conditioning, rotating control cab, adjustable seats, which can greatly improve the operation comfort level of drilling rig, interior lights, windshield wipers. The front glass can be doubled. The console with all kinds of instrument and control handle is very suitable for operation. Random configuration: 2 t lorry crane. It is stable and convenient to operate according to the manual.